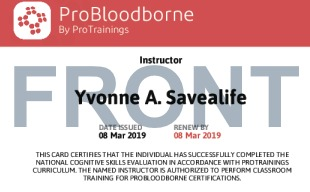 The ProBloodborne Instructor course will prepare an individual to teach the 29 CFR 1910.1030 OSHA standards for bloodborne pathogens training. 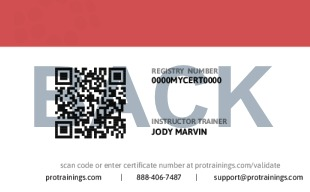 Individuals must first complete the ProBloodborne certification course before taking the instructor course. Upon successful completion of the instructor course, a ProBloodborne Instructor certification will be issued, valid for 2 years. The ProBloodborne Instructor course purchase includes: 1 DVD with all the training videos, 12 student booklets, and access to the online instructor dashboard. Total course time includes 10 minutes of video training as well as knowledge reviews, final test, remedial help and reviewing downloaded material.